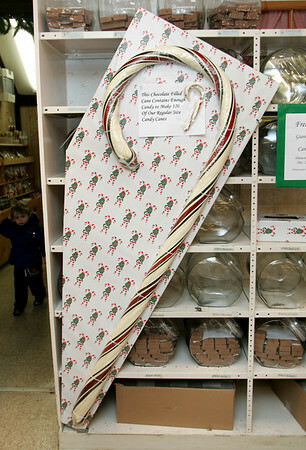 Rockport: A six foot candy cane at Tucks Candy in Dock Square is being raffled off. The lucky winner will be announced December 20. Mary Muckenhoupt/Gloucester Daily Times.